Sums to 7. 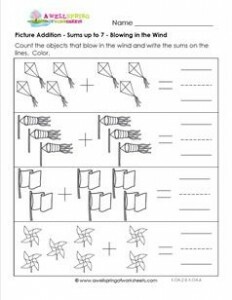 Our windy day picture addition worksheet shows a kite, windsock, flag, and pinwheel blowing in the wind. What else blows in the wind?